The meeting took place yesterday after Ms Swaraj delivered her second annual consecutive address to the UN General Assembly sessions here. 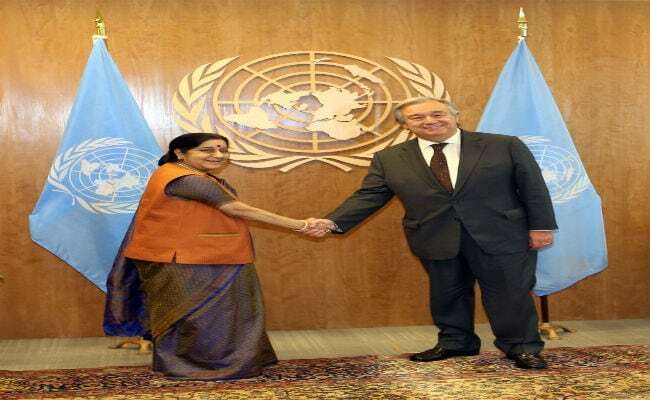 United Nations: United Nations Secretary General Antonio Guterres met External Affairs Minister Sushma Swaraj and praised India's contribution in the world body's efforts towards sustainable development, peace operations and tackling climate change. She was accompanied by Minister of State for External Affairs MJ Akbar, Foreign Secretary S Jaishankar and India's Permanent Representative to the UN Syed Akbaruddin during the meeting. 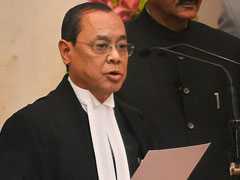 "The secretary-general expressed appreciation for India's contributions to the United Nations on climate action, peace operations and sustainable development," a readout of the meeting issued by Mr Guterres' office said. During the meeting, the UN chief welcomed India's efforts to implement the '2030 Agenda and Sustainable Development Goals', it said. "They also discussed the importance of UN reforms," the readout said.